Although you wouldn't know it to look outside, it's about to get rainy around here. 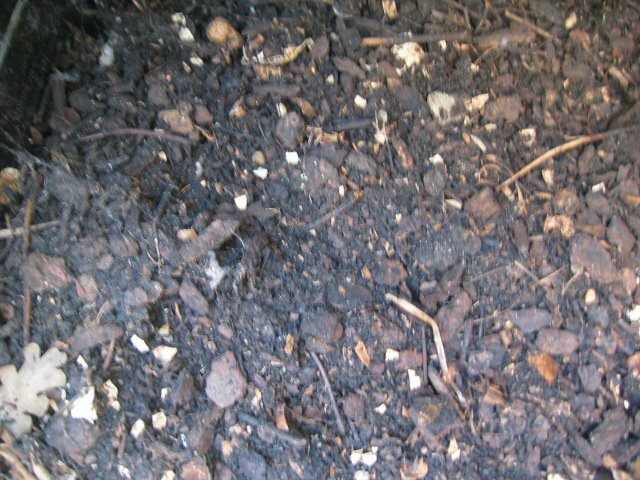 Which means this is an ideal time to lay down a good, thick layer of mulch on your garden. No matter what material you use -- redwood nuggets, shredded fir bark, or organic compost -- it's recommended to keep at least 2" to 4" atop your soil. This helps suppress weeds (which won't get enough sunlight to germinate); retain moisture (which can't evaporate so readily); and, as tends to happen in dark, damp places, encourage the growth of fungus. 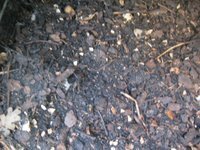 In particular, we use mulch to encourage mycorrhizae, a group of fungi that develop symbiotic relationships with the plants around them: in exchange for gleaning micronutrients from the plants, the fungi deliver water, oxygen and other nutrients to the plants. And because the mycorrhizae can grow into webs spanning hundreds of feet or more, plants in mycorrhizae-rich environments have access to far more food and water than might be delivered to just their own root zone. This makes mycorrhizae particularly valuable to native plant species, which have adapted to grow in lean soils and dry conditions. But no matter what your garden is growing, or when you plan to plant, it's a good idea to pile on the mulch now.